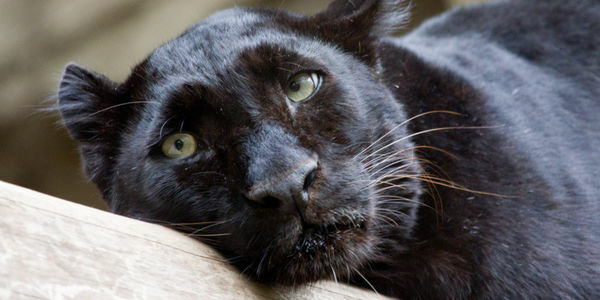 petición: Justice for Endangered Leopard Shot and Eaten by Rich Tycoon! On February 5th, 2018, wealthy Thai CEO Premchai Karnasuta illegally entered a UNESCO World Heritage forest, where he shot, cooked, and ate a highly endangered black Indochinese leopard. Because of his wealth and connections, his poaching may go unpunished — unless the world demands justice! One month ago, Karnasuta and three associates were arrested after forest rangers found them illegally camped in the pristine Thungyai Naresuan Wildlife Sanctuary — a UNESCO World Heritage site — with multiple rifles, hundreds of rounds of ammunition, and the bullet-riddled carcasses of nine protected animals, including a female black Indochinese leopard, a species on the brink of extinction with fewer than 1,000 breeding pairs remaining. Forensic evidence reveals that the small female leopard "died slowly" in agony after being shot eight times at close range by Premchai's gun. When she finally succumbed, the tycoon skinned her body and consumed her flesh in a "panther soup" which rangers found cooking in a pot. Ten years ago, an elderly poor couple were sentenced to 15 years in prison for picking mushrooms in the same forest. If convicted of the multiple charges against them, Premchai and his associates should go to jail for 28 years — but because of Premchai's vast wealth and government connections as CEO of the Ital-Thai Development Company, he may get away with his sickening crimes unpunished. Temporarily released on bail, Premchai has already attempted to bribe officials into ignoring his crimes, and Thai wildlife advocates are alarmed by the slow pace of the investigation -- previous cases against the rich and powerful have dragged on for years as the authorities stall. Only massive public pressure will ensure that these poachers are held accountable for their crimes. Wealth and power shouldn't give poachers a free pass to slaughter endangered animals. We demand that Thai authorities protect the world's wildlife and prosecute Premchai and his cronies to the fullest extent of the law! Premchai and his poaching gang are one step closer to prison! The police have finished their investigation and recommend that all 4 men be FULLY prosecuted for multiple poaching charges. This is a big step forward, but the case is far from over. Now, prosecutors must "consider the merits of the case" -- something that could take years if the prosecutors try to protect Premchai by stalling. So please keep signing and sharing: we need to keep the pressure on until these poachers are behind bars!